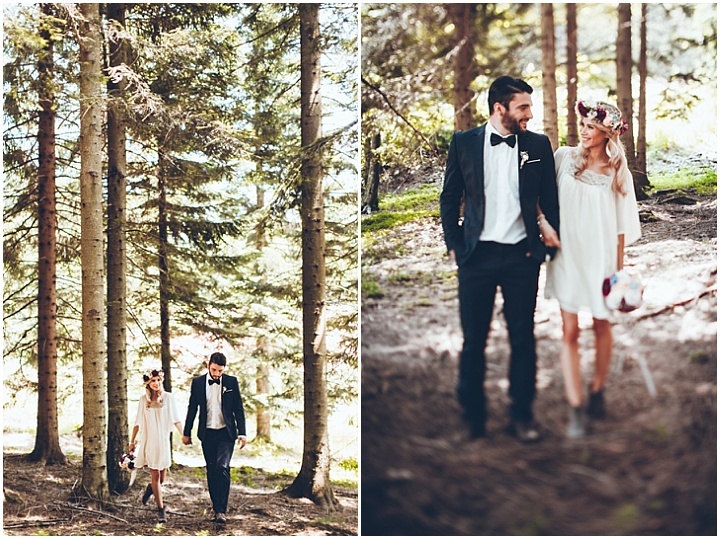 Today’s beautiful wedding shoot is coming from Croatia. 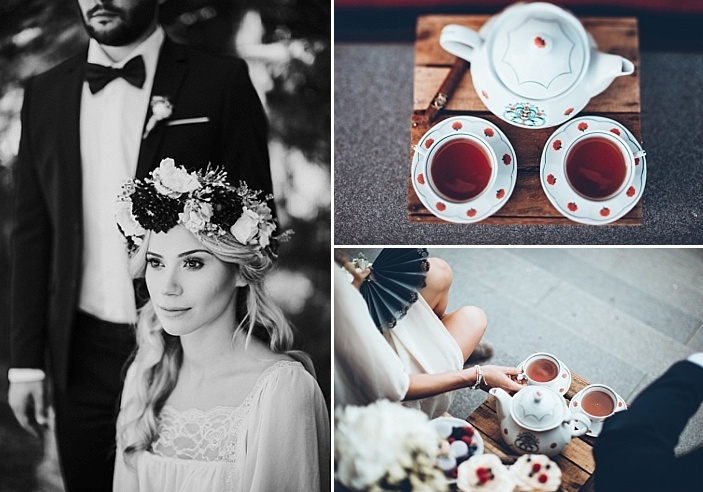 With gorgeous natural tones and rustic style, this folk inspired shoot is full of wild flowers, whimsical details and a very stylish boho couple. 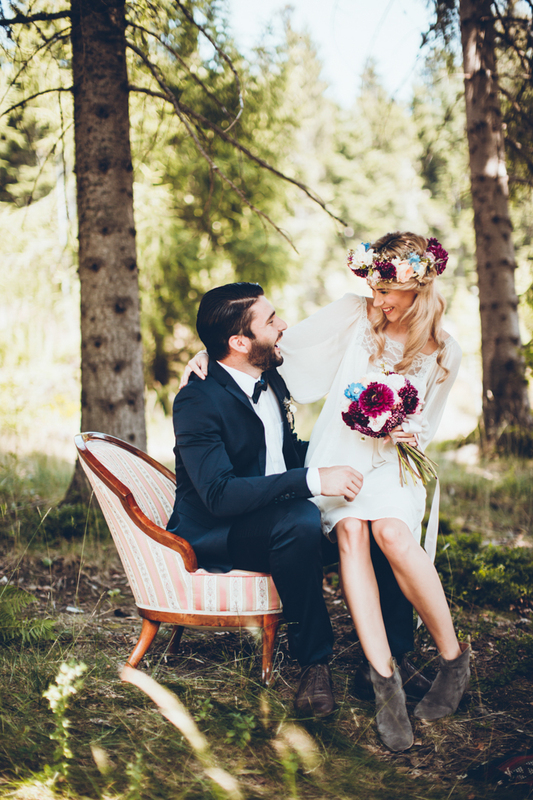 The shoot is whimsical, colorful and bohemian, with lots of wildflowers. 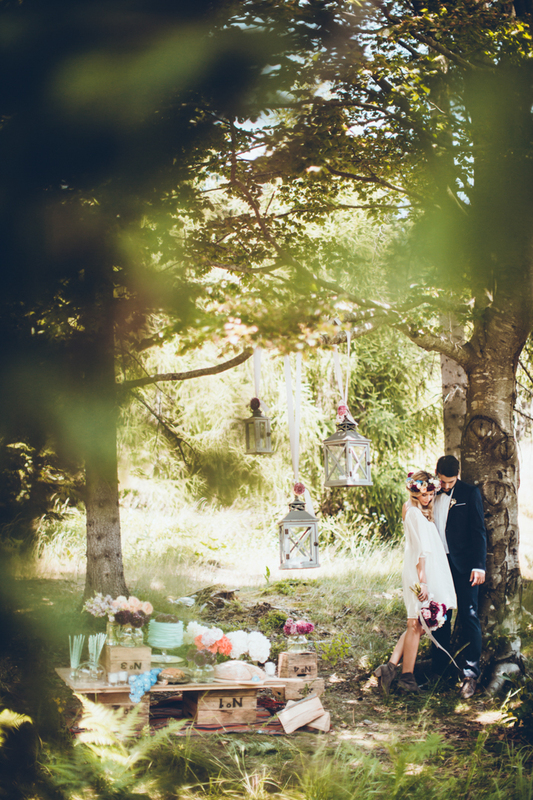 Wild nature and fold-inspired statues are a backdrop that makes this shoot even more dreamy. 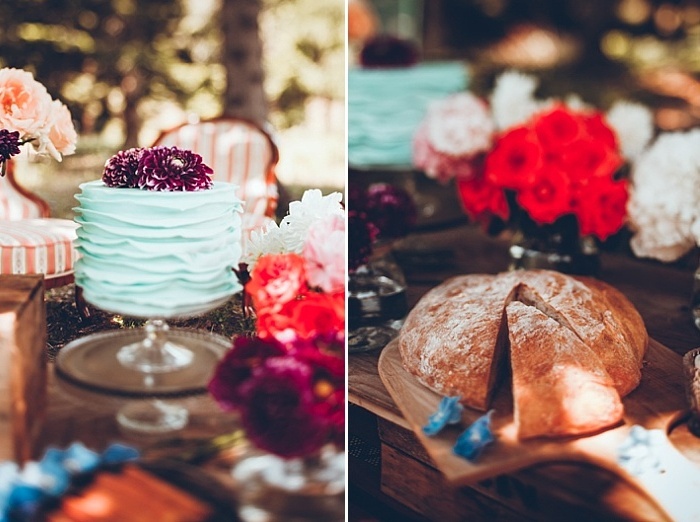 The color palette was rich, with plums, burgundy and greens, which is non-typical for boho style but awesome. Bold oversized paper flowers added a colorful touch, and the stylists crafted some chalkboard framed signs and decorations. 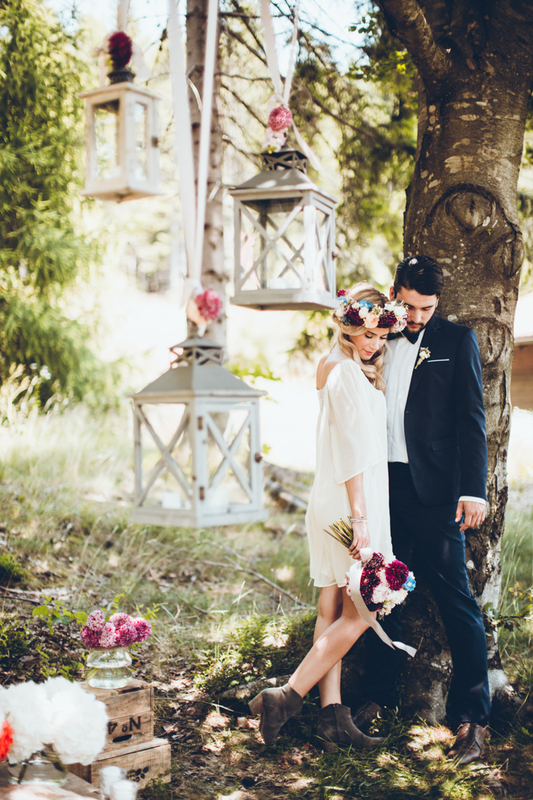 Whitewashed lanterns hanging around the ceremony space added a sweet feel. 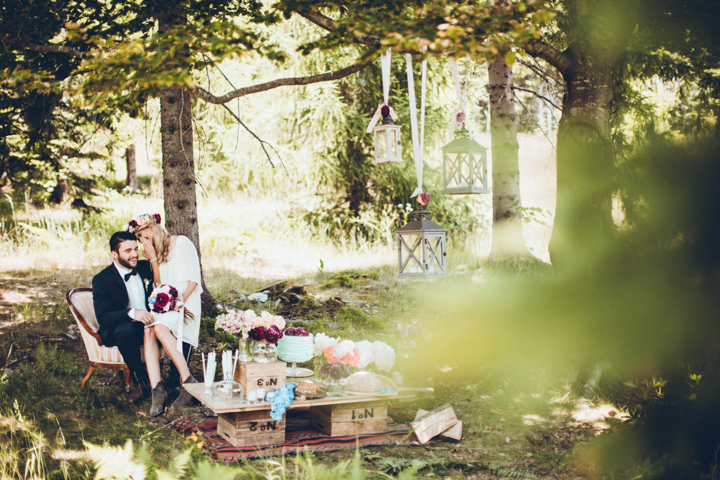 The table was laid picnic-style: it was made of pallets and placed on a carpet – such a cute boho idea with an industrial feel. 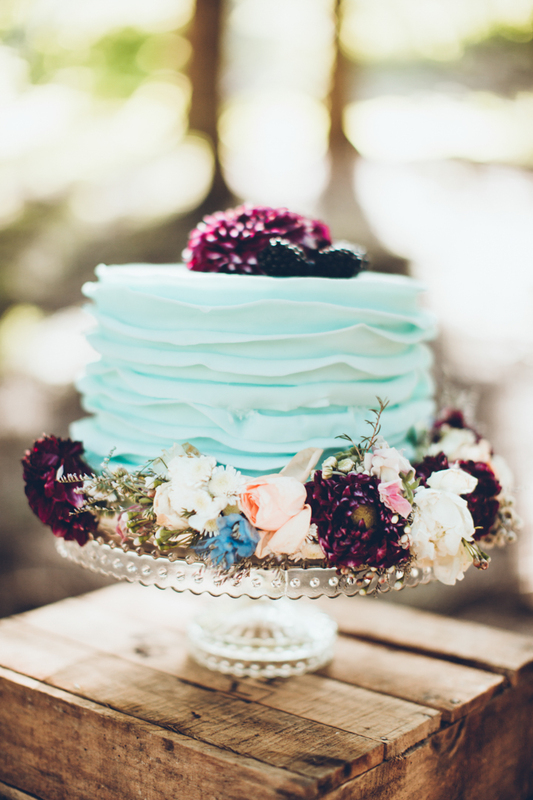 There are bold floral arrangements displayed, handcrafted bread and a cool mint-colored wedding cake topped with blooms and blackberries. 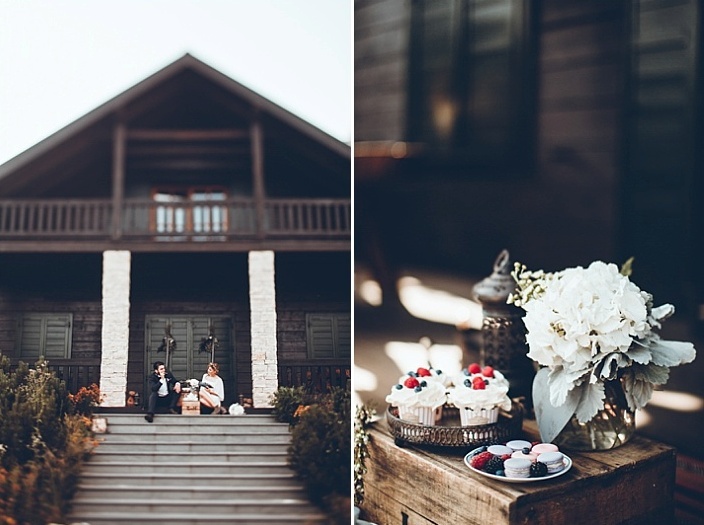 There was also a small tea table of pallets, with tea, cupcakes and macarons with fresh berries. 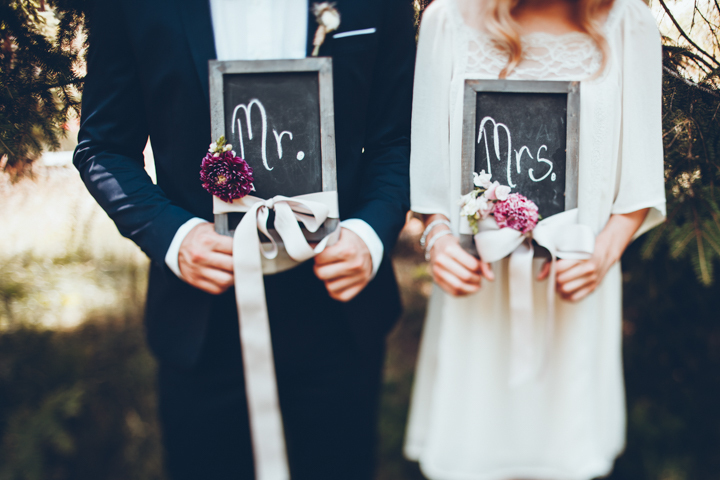 The bride was wearing a short ivory dress with a lace detailing on the neckline, brown suede ankle boots and a beautiful floral crown with burgundy blooms. The groom was rocking a black tuxedo with brown boots. 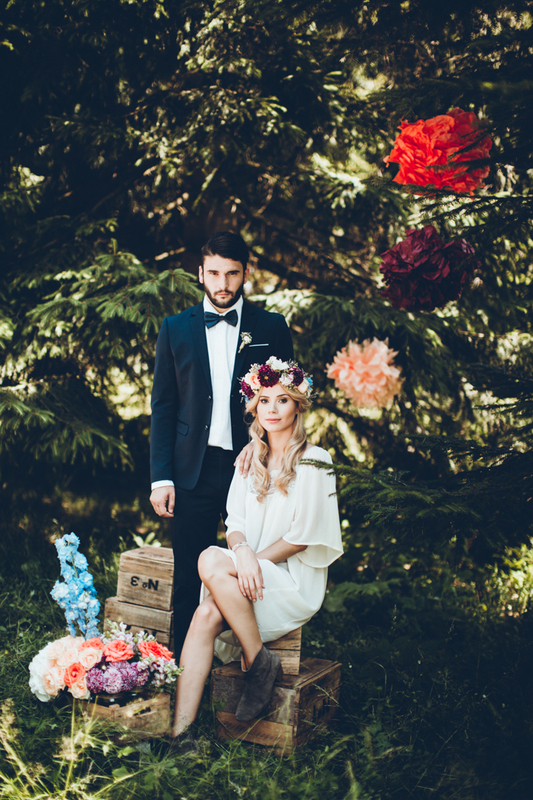 The shoot is full of cool and simple ideas for a fall boho wedding, and rich tones used are right what you need – get ready to steal them!